Your child's overall well-being is my main concern; eating well and being physically active are key to maintaining a healthy lifestyle. One in four children in America are showing the same signs of serious malnourishment as children in Africa. However, in America this is due more to the quality of the food consumed rather than a lack of food. Nearly 30% of calories in the average American diet come from processed, fast, and junk food, which provide very little nutrition. Although the current CACFP Food Program requirements address basic nutritional needs, Amy & Kids Co. decided to adopted more stringent standards to address nourishment issues, help prevent childhood obesity, and promote the development of lifelong healthy habits. 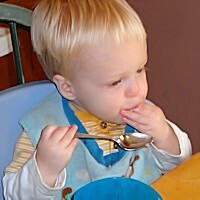 Children will wash their hands before and after every meal and snack. Foods will be served family style; children will be encouraged to serve themselves and decide how much to eat. Food will never be withheld or forced as punishment. 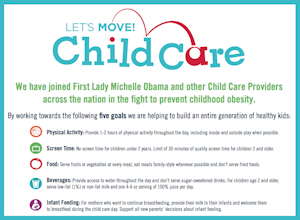 Healthy foods and habits will be promoted through posters and planned activities. Parties and celebrations will focus on activities rather than food, and will include healthy foods in addition to any special treats. Drinking water will be available for children to access independently. Infants six months and older will be offered water in sippy cups several times daily. Juice will never be served to infants under 12 months old, and will be served no more than three times a week to children over 12 months old. When juice is served it will only be 100% fruit or vegetable juice. Only 1% or skim milk will be served to children aged 12 months and older. Infants under 12 months will only be fed breastmilk or formula, unless a doctor's order is on file. Milk will be unflavored most of the time, although flavored milk may be offered on special occasions. Soda and sugary drinks like Kool-Aid will never be served. Meals and snacks will take place at the table; children will not be allowed to walk around with food or drinks. 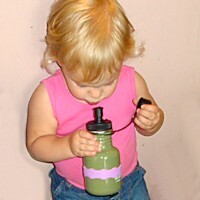 Infants and toddlers will not be allowed to walk around with bottles or sippy cups. Food will be prepared in a manner that reduces fat, calories, sugar, and sodium as much as possible. A variety of fresh fruits and vegetables, with an emphasis on seasonal produce, will be served on a regular basis. Whole grains will be served at least once each day; “white” grains will only be served if no whole grain alternative is available. Ready-to-eat breakfast cereals will contain no more than 6 grams of sugar per serving. A variety of proteins will be served weekly, including legumes, cheese, eggs, fish, poultry, and meat. Legumes and fish will each be served at least once every two weeks. Processed meats will be served less than once a week and will be nitrate/nitrite free. Only real cheese will be served; no processed cheese or cheese foods will be served. No pre-fried food items (chicken nuggets, fish sticks, french fries, tator tots) will be served unless no more than 35% of their total calories are from fat. Instead, chicken nuggets, fish sticks, french fries, and the like will be home-made. Sweet baked goods will be served less than once a week, only for snack, and will be home-made and/or whole grain when possible. Processed foods in general will be limited; foods will be made “from scratch” as time allows. Organic foods and foods without hydrogenated fats and/or high fructose corn syrup will be served when available. A four-week cycle of weekly menus that change with the seasons are planned with the above guidelines in mind. Weekly menus include seasonal foods, as well as foods from a variety of cultures. Special dietary needs and food allergies will be respected. Weekly menus will changed so children with food allergies or special dietary needs can eat the same foods as the other children. The average child is less active now than at any other time in history, with disastrous results. It is estimated that childhood obesity has more than tripled in the past 30 years, and up to one-third of all children now have a weight problem. All children, including infants, will have ample open and safe space for moving and being active. A rotating variety of safe indoor equipment (soft balls, push/pull toys, etc) will be available. Children will have access to large outdoor play equipment (climbers, slides) at all times. Children will have a wide variety of outdoor portable play equipment (balls, bikes, etc) to choose from at all times. Outdoor portable play equipment will be freely available for children at all times. Inactive time will limited as much as possible; a balance of quiet and active activities will be offered daily. Children will have the opportunity to play actively at least 60 minutes each day. 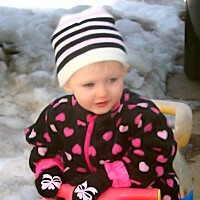 Weather permitting, children will play outdoors daily. Active play will be planned indoors during inclement weather. Both structured and unstructured physical activities will be available regularly, for children of all ages. Infants will have “tummy time” two to three times a day, while the child is awake. Physical activity will be neither denied or required as a form of punishment. Screen time will generally be limited to 2 hours per week. No child will ever be required to watch TV. 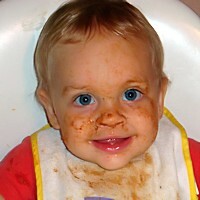 Children are encouraged to wear clothing they can move freely in and get dirty. Children are redirected to safe physical activities and involved in discussions about safety as needed. Daily lesson plans include fun and engaging physical activities for children of all ages. Children are encouraged to be physically active through teacher-directed activities throughout each day. Children will be offered teacher-directed nutrition and/or physical activity education at least once a week. Education will be provided through informal discussions and/or books, games, and activities and promote good nutrition and physical activity. Parents will receive nutrition and/or physical education materials at least four times a year. Materials may include handouts, articles, or links to online resources. Teachers will continue to receive training in nutrition and/or physical activity as part of required continuing education, at least twice a year. Education may be obtained through reading articles, workshops, webinars, and the like. I believe that it's just as important for children to develop a healthy lifestyle as it is to learn the basics of literacy, math, science and social studies. As a member of Let's Move! Child Care and proud recipient of a CACFP Wellness Grant, I am committed to promoting child wellness and providing the high quality care that enables children to grow happy and healthy.